1 million California residents don’t have access to clean drinking water. California is facing a public health crisis, Michael. Right now, roughly 1 million California residents don’t have access to clean drinking water. This problem is particularly distressing for the Central Valley community I represent — where pollutants like nitrates, coliform bacteria, pesticides, and even uranium taint our groundwater supply. The worst part? It’s rural and disadvantaged communities who are disproportionately impacted by groundwater contamination. Studies show exposure to these pollutants have been linked to lung, skin, and bladder cancer. Exposure can even cause birth defects and inflict significant harm to newborn babies. ⇒ Pushed for $150 million in infrastructure investments to improve water delivery in the Central Valley. ⇒ Called on the Bureau of Reclamation to allocate more water to the Central Valley. ⇒ Held Trump’s EPA accountable to undergoing a thorough review of California’s water quality standards. Can you sign our petition to affirm your commitment to ending the Central Valley’s water crisis? We all need to come together and demand that clean water access remains a top priority. Ever since President Trump began separating migrant children from their parents at the border, we’ve been fighting back to permanently end the administration’s cruel zero tolerance policy in court. Though the administration backed down from separating children after a massive outcry from our communities, many families have yet to be reunited — and now the Trump administration wants TWO more years to locate and reunite these families. Add your name now: Tell the Trump administration that reuniting separated children and parents can’t wait two more years. **Registration will be required for all participants. Saturday, April 27 is the day our campaign begins the work of organizing to win this election. But in order for our Organizing Kickoff to be a success, we are counting on you to be a part of this important day for our campaign. Together we must send the strongest message possible that we are the best campaign to defeat Donald Trump and transform this country. Are you in? RSVP to attend an Organizing Kickoff event in Fresno on Saturday, April 27. If the 2020 presidential primary has taught us anything, it’s what an embarrassment of riches we have in Democratic candidates. But with all that is on the line in 2020, many Democrats are nervously wringing their hands, worried that a “brutal” primary will weaken the eventual nominee. And to them, let me say this… we get it; the stakes are unbelievably high and the consequences for another term under Trump are horrific. Donald Trump is a coward. He punches down and demeans the vulnerable. He demonizes women and people of color. He spews hate and division. He has tried to reduce America to its smallest self by attacking the values and institutions of our democracy and turning our most cherished principles inside out. By encouraging bigotry, discrimination and violence, by closing our doors to immigrants and refugees, and by taking from the many to line the pockets of a few. He puts his name in bold on every building. He does all of this because he wants us to believe he is powerful. He is not. He is weak. We deserve better. We deserve a president brave enough to stand up for what’s right and to take on the challenges that divide us. A president with the humility to admit when they’re wrong, who doesn’t run from progress but embraces it. We deserve a president who’s not afraid of a fundamental truth: We are a better country when we care about one another. End Citizens United is dedicated to electing Democrats, transforming our broken campaign finance system, and ultimately ending Citizens United. If you really want to receive only our most urgent emails or unsubscribe, click here. How likely are you to vote for Pete Buttigieg? 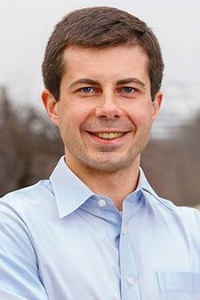 Michael — Pete Buttigieg is an amazing Campaign Finance Reformer! Pete is not afraid to stand up to Big Money and overturn Citizens United. Howdy! My name’s Jose and I’m the Digital Organizing Director for Kamala’s historic campaign for president. To explain my job a little: it’s my team’s mission to empower you and hundreds of thousands of Kamala’s supporters to get involved with our campaign — no matter where you live or whether you’ve volunteered for a campaign before. Building a powerful grassroots network of volunteers will make all the difference in this race. If we’re going to cut through the noise of this crowded primary and elect Kamala the next President of the United States, we need to start taking direct action — and that starts now. Our first major organizing opportunity is coming up in just a few days, and I’m really excited to invite you to be a part of it! We need as many people as possible to sign up to host watch parties for Kamala’s upcoming CNN town hall on Monday, April 22. 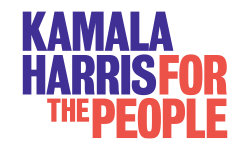 Click here to sign up to host a watch party for Kamala’s CNN town hall, and our team will send you all the information you need to host a successful event. There’s a joke my son Cory likes to tell about how behind every accomplished child is an astonished parent. And I can truly say that I am indeed astonished, thrilled, and exceedingly proud of Cory today. He just wrapped up his first big campaign event in Newark, and I can’t stop smiling. I’ve watched Cory dedicate his entire life to public service — fighting for his community, fighting for his state, and fighting alongside Americans across the country who want better lives for themselves and their families. And I know that he will be the kind of president who won’t run away from tough problems. Cory’s leadership will bring our country together in the face of difficult challenges, and his character will make us all proud — of him and our country. But he and I both know that he can’t make change alone. Cory’s team tells me that the most important thing people can do to help right now is make a donation to build this campaign and ensure his spot in the national debate — so will you chip in to my son’s campaign today? We did not think the first real attack would happen like this. Make a donation to our campaign today as a way of saying you have had ENOUGH of deep-pocketed organizations working to defeat our progressive agenda. Every single donation sends a critical message. Gilbert Felix invited you to San Joaquin Valley Latino Leadership PAC ‘s event Noche Azul Thursday, May 9, 2019 at 5:30 PM Arte Américas in Fresno, California Going Interested Not Interested Please join the San Joaquin Valley Latino Leadership PAC as we kick-off 2019! Gilbert Felix and 5 others are going. Pending Invites (6) Block invites from Gilbert?